Hand oxidized, med to dark brown, vintage style patina. 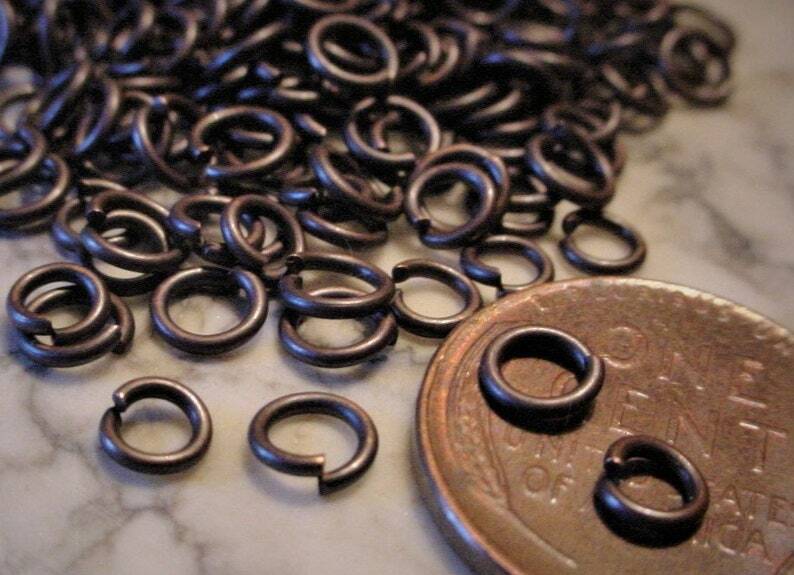 Artisan hand made saw cut jump rings with nice smooth edges. Please select lot size from the drop down menu. Patina color will range from a medium to dark brown tone. Super fast shipping and great shop!